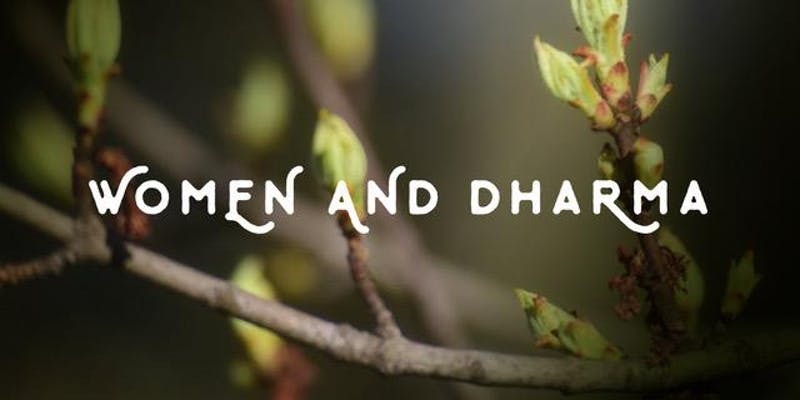 Join us for a day of dharma in the company of other women, as we explore together our experience as female practitioners in this tradition. The day will include time in nature, meditation, reflection and in circle together. In this series, started in 2018, we will gather twice yearly, finding nourishment, by sharing our journey with one another and learning from visiting teachers from a variety of traditions within the Buddha Dharma. Our teacher in April will be Gaia Mika, who will guide us in exploring some foundational somatic meditation practices drawn from Tibetan yoga. These practices enable us to connect with and rely upon the wisdom of the body, and are a gateway to a deep and embodied spiritual connection. Please join us, experienced practitioner or new to dharma. ALL self identified women are welcome- across the vast gender spectrum. Come as you are! Registration covers your attendance and lunch. The profits from this event go towards building the Women and Dharma program ongoing. No one will be turned away for lack of funds, if you don’t see a registration option that works for you please email Kaye. There will be an opportunity to give dana, thank you, to the teachers and Mt Adams Zen Buddhist Temple on the day of. Dana is a time honored way to complete the circle of generosity between teacher and student. Please register online through eventbrite. Please contact Kaye with questions or to be added to the women and dharma mailing list kaye@broadforkfarmtl.com. Gaia Mika has been a student of Vajrayana, Tibetan Buddhism, with Reggie Ray since 2005. The somatic meditation practices have had a profound impact on her life, and she shares her gratitude for the teachings as a meditation instructor, and as a teacher in this lineage. Gaia is a retired psychologist, teacher and facilitator, and now lives with her husband in Taos, New Mexico where she is surrounded by mountains, canyons and sky. She has an ongoing commitment to a socially engaged practice and to showing up in the world. Kaye Jones is a homesteader in Trout Lake, an educator, and mother of three with her partner Adam. She is a student of relationships, reality, and complexity ~ as understood through the lens of the dharma and natural systems. Kaye has her MSc in Holistic Science from Schumacher College, and is a student of Tibetan Buddhism. Her study of Vajrayana is in the lineage of Chogyam Trungpa and Dharma Ocean. Joanna Macy has been Kaye’s root teacher and collaborator since 2004. We will gather again in October 2019. This is a Kaye Jones/Broadfork Farm event in collaboration with the Trout Lake Abbey and Mt Adams Zen Buddhist Temple.